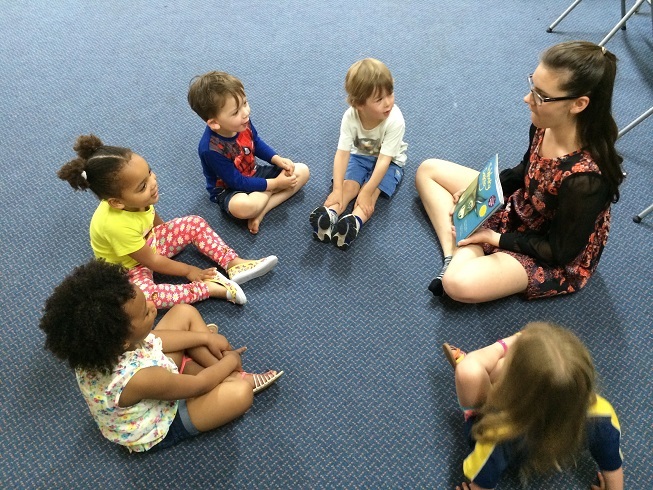 The Early Beginner programme 3 -4 yrs. presents a variety of activities which focus on sound, rhythm, expression, drawing, movement, and vocal expression, these are the fundamental building blocks essential for musical growth and are “LOTS OF FUN!” By participating in these activities regularly, children gain the phonological processing, spoken language, and comprehension skills that are the foundation of reading, further building their spatial-temporal and reasoning skills required for math, science, and engineering, they develop social and emotional skills that are essential for school readiness—like the ability to regulate their responses and relate to others in complex ways. These such activities include moving, dancing and marching to music, stepping and jumping on a HUGE! floor keyboard, playing on the BIG BASS DRUM!… this teaches children all about keeping a steady beat and making coordinated movements. 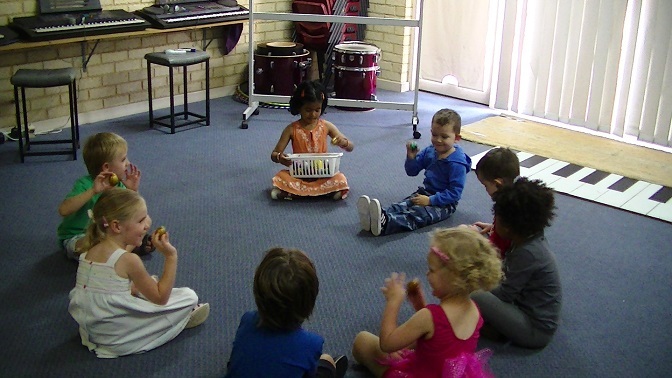 The early beginner is now introduced to the keyboard, and its fundamentals which include the the early stages of notation, sound and rhythm, whilst playing the keyboard helps in the development of gross and fine motor skills. 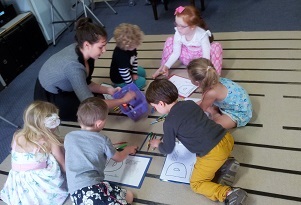 Singing activities are especially important at this stage of learning, singing songs in a group environment are a fun! and can teach kids important facts and skills for instance, singing the ABC song can help a child learn the alphabet. 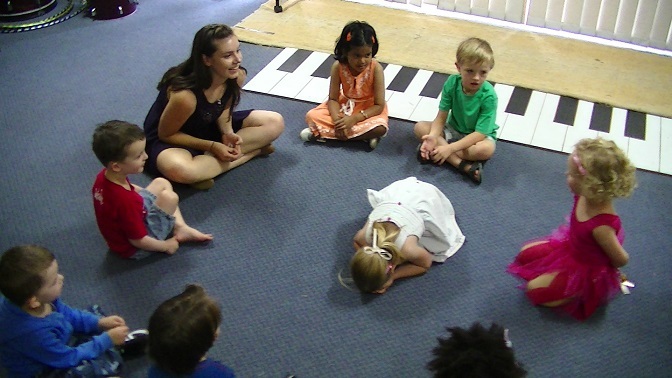 Children have the opportunity to perform in our recital/concerts which are held at the end of each semester, they are traditionally known to be friendly, encouraging, warm and fuzzy and the children especially look forward to this event, these performances are VERY! VERY! 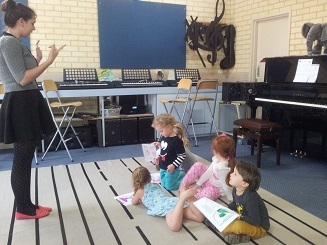 important to your child’s confidence, self-esteem and musical development. 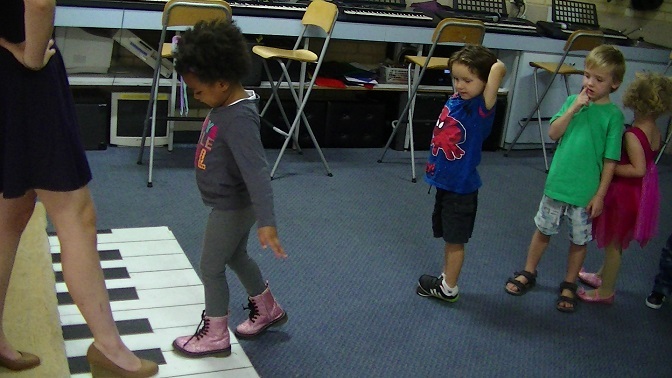 Young children thrive on music, it’s one of the most effective vehicles for learning in early childhood development. Scientists, psychologists, neuroscientists, and experts in early childhood development have demonstrated and now proven that music does more for children than bring them joy, it helps their brain cells make the connections needed for virtually every kind of intelligence. 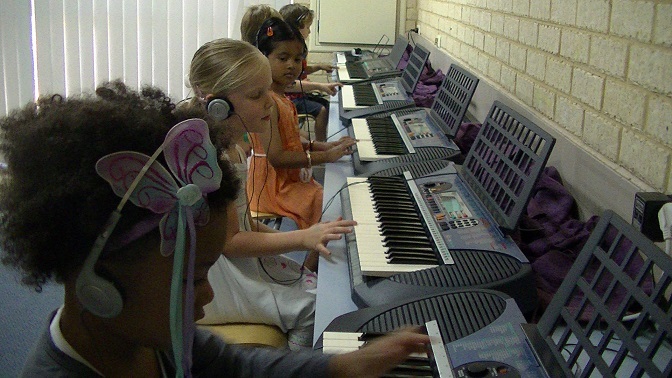 The biggest impact evident is when kids actively participate in musical activities on a consistently and regular basis, when music is part of their everyday routine, it helps your child know what to expect and feel more secure, and they will undoubtedly develop a lifelong love of music.